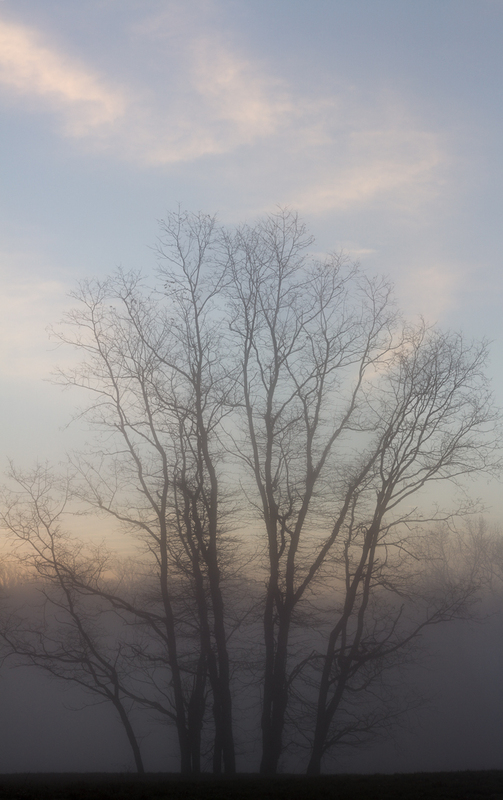 Fog and trees against the sunrise, Overlook Hill, Rockefeller State Park Preserve, NY. Canon 7D, Sigma 70-300 mm f/4-5.6 lens, ISO 100, f/16, 1/15 sec. (five horizontal images stitched). This will be my last post until after the holiday. Here are a few more images from my fabulous foggy Black Friday morning spent photographing along the eastern Hudson River valley. All the images in this set were taken in the Swan Lake area of Rockefeller State Park Preserve. 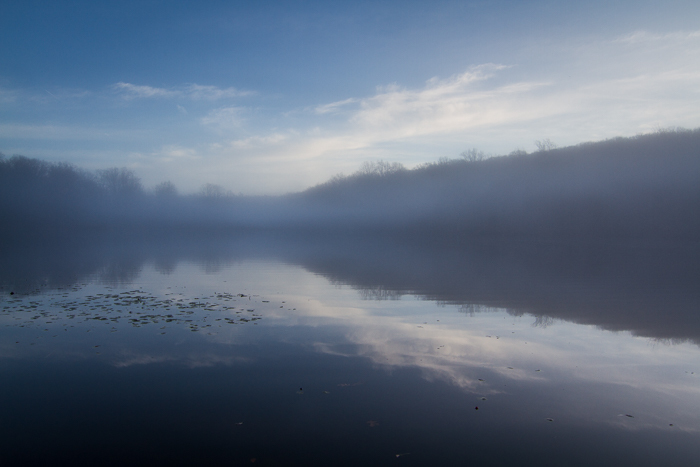 Foggy Swan Lake just before sunrise, Rockefeller State Park Preserve, NY. Canon 7D, Tokina 11-16 mm f/2.8 lens, ISO 100, f/16, 1/20 sec. "Heart Of The Forest", Swan Lake, Rockefeller State Park Preserve, NY. 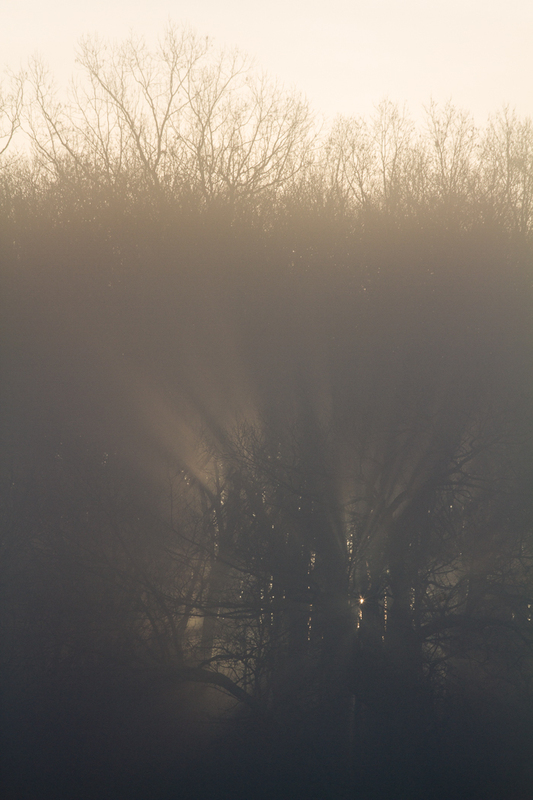 I recorded this cool effect as the morning sun rose over the hill, penetrating through both fog and a relatively narrow, but dense stand of forest. Canon 7D, Sigma 70-300 mm f/4-5.6 lens, ISO 100, f/16, 1/60 sec. 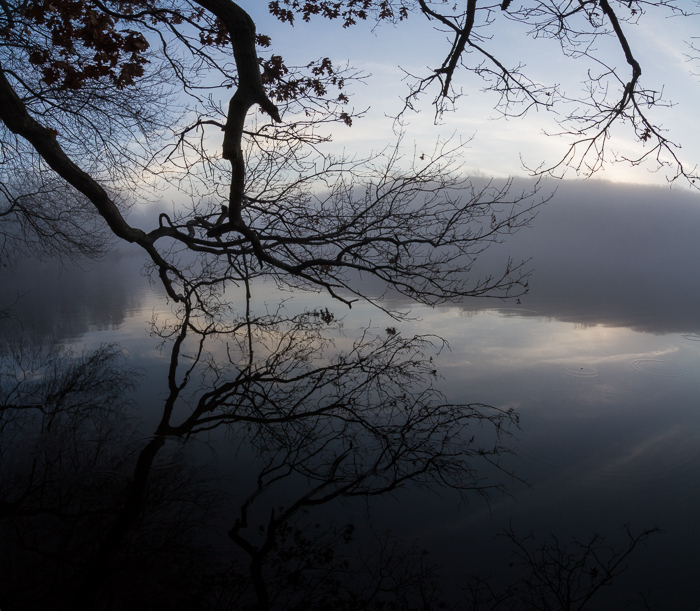 Foggy sunrise over Swan Lake, Rockefeller State Park Preserve, NY. Canon 7D, Tokina 11-16 mm f/2.8 lens, ISO 100, f/16, 1/20 sec. (two vertical images stitched).